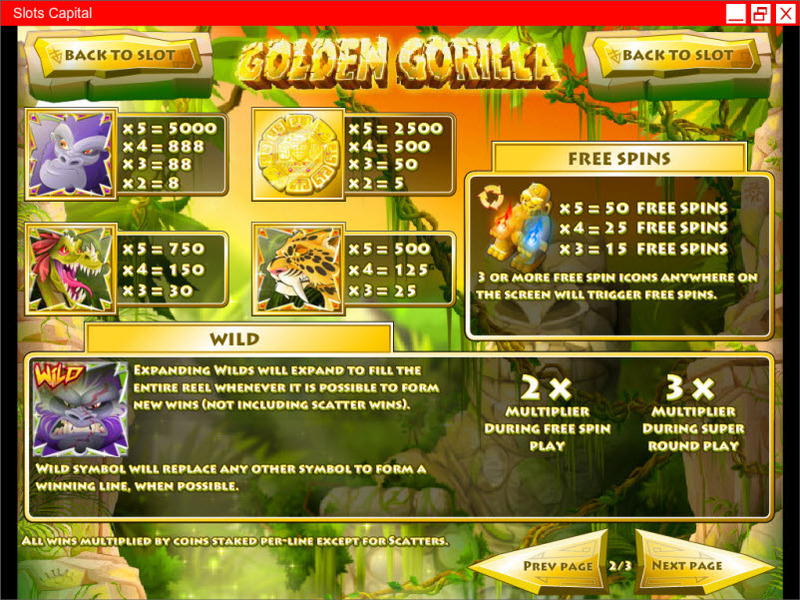 Overview: Gorillas and prehistoric creatures inhabit the jungle and guard lost treasures in Golden Gorilla, Rival's latest 5 reel slot. Join the Explorers as they search for ancient treasures and lost relics. 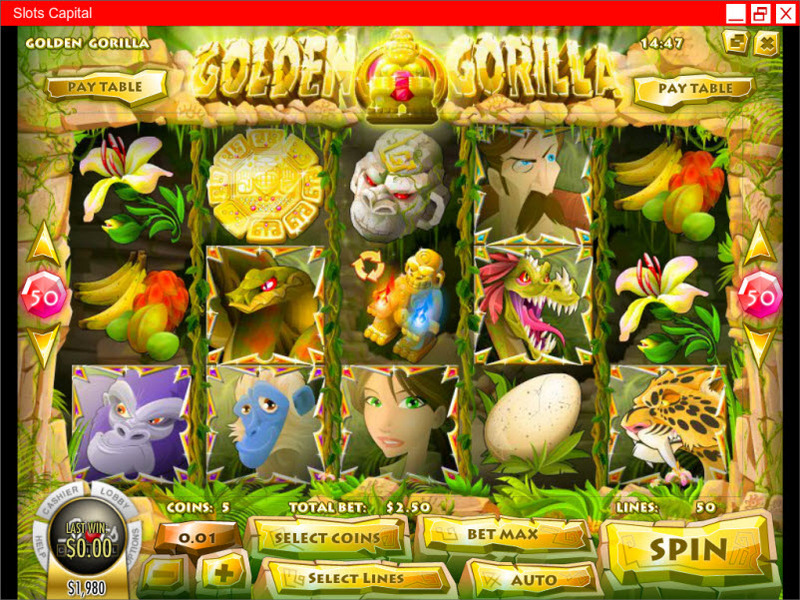 Jungle wildlife include Gorillas and Monkeys, Dinosaurs and Snakes, Leopards, Jungle Fruits, and Flowers. 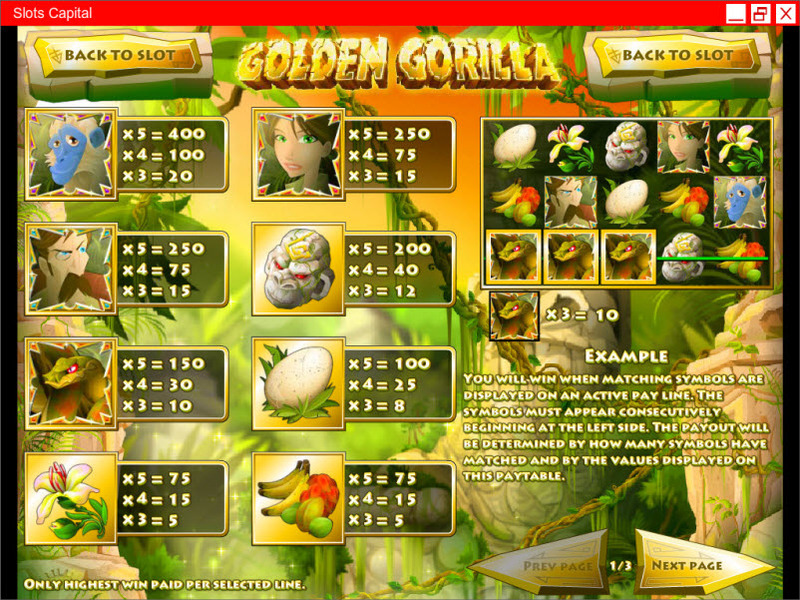 Treasures such as a Dinosaur Egg, a Stone Gorilla Head, a Golden Medallion, and a Golden Gorilla Idol are waiting to be discovered. 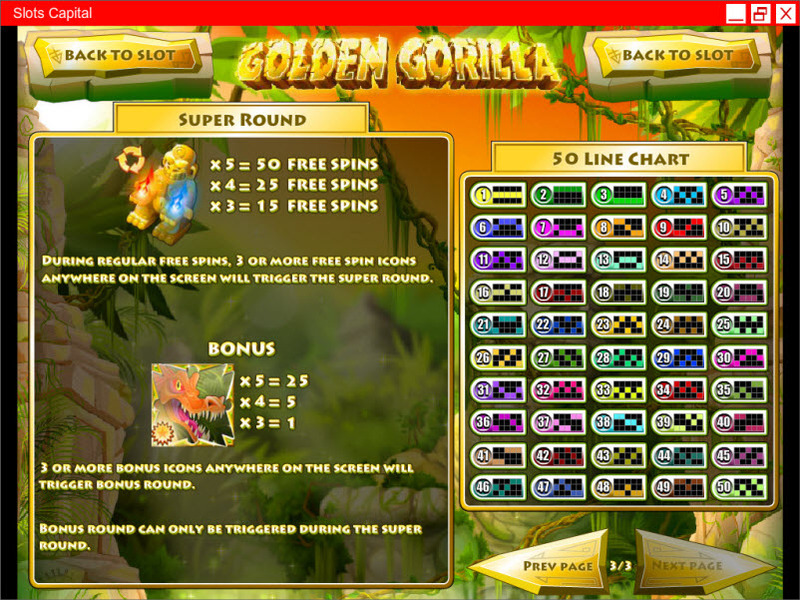 Similar Slots: If you like Golden Gorilla, you might like these other Rival video slot machines: Atomic Age, Flying Colors, Future Fortunes, Opera Night.